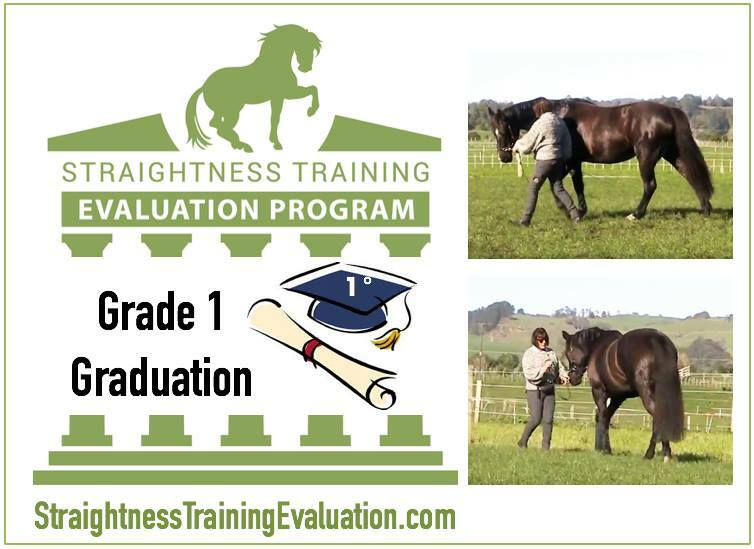 ST Mastery student Donna Anderson from New Zealand passed Riding 1 with her gelding Rhythmic Kodak and with that Touchstone, she passed all 5 Touchstones in Grade 1! “Hi my name is Donna Anderson , I’m from New Zealand and my mastery partner is Kody (Rhythmic Kodak). I began my ST journey in Dec 2015. I watched the videos, read the PDFs and then in true accommodator style I set forth to conquer these Grade 1 Touchstones. My first 3 evaluations were done in the pre-2016 Evaluation system and my level of consciousness would have been unconscious incompetence, not that I knew that at the time, I had been riding for 20 odd years so surely I had some horse knowledge and yes I did but this ST ESSENCE really is quite another thing! I completed the sequences with a calm obedient horse and I passed (this would not be the case now in the new system). This ST beast just keeps on growing, as the students grow so too does the universal knowledge and the ST programme evolves, it is not a static programme and for this I salute to you Marijke, it would be easy not to change that which is not broken, but you just continue to CANI on the fly to bring the best possible version to your students. In the previous evaluation system, I had done so well but once it evolved I too had to step up to the plate I could no longer wing it with obedience and completed exercises. This newer version required essence and understanding, boy did this squeeze the lemon! I sent in many Work in hand 1 and Riding 1 Touchstones for many resubmits. I studied, I nutted things out with my study buddy Lynley (thanks for your input) and I had online lessons with Rebecca Gilbert ST Instructor. It took grit and determination but I have now passed both Work in hand 1 and Riding 1. Now that I have passed my Grade 1, I may just go back and redo some of those Touchstones from a level of conscious incompetence with a tinge of conscious competence. I have signed up for the restart programme and am enjoying going through the material with a beginner’s mind, I am finding the difference in my assignments from 2015 to now fascinating. Has this programme been of benefit to Kody? Absolutely! However just as importantly it has led to huge growth for me mentally, spiritually, physically, and emotionally. During this time, I have had my fair share of ST gremlins mixed in with life complications (total knee replacement, selling my home, living in an RV for 7 months while building a new home) but from here it is onward and upward via the scenic route to the highest peak of this ST mountain I can obtain.